You may need to have an external DVD drive to mount the ISO on the ClusterControl host. All hosts are able to connect to each other via LAN. Mount the CentOS installation DVD using the external DVD drive on the ClusterControl host. On this host, we will configure Apache web server to host the local repository via HTTP to be accessed by the database hosts. Point your web browser to the Galera Configurator and choose Percona as vendor and MySQL 5.5.x as the MySQL Version (you can also choose 5.6.x if you want). You should see an additional option (No Internet), toggle it to ‘YES’. This allows the configurator to customize the installation scripts accordingly. Once generated, download the deployment package onto the ClusterControl host. Checking cmon-controller-1.2.6-260-1.x86_64.rpm : not found! Checking cc-ui-1.2.6.tar.gz : not found! 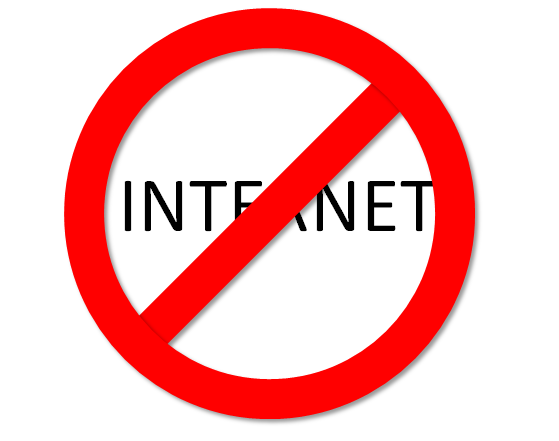 Checking cc-cmonapi-1.2.6.tar.gz : not found! Checking Percona-XtraDB-Cluster-client-55-5.5.37-25.10.756.el6.x86_64.rpm : not found! Checking Percona-XtraDB-Cluster-devel-55-5.5.37-25.10.756.el6.x86_64.rpm : not found! Checking Percona-XtraDB-Cluster-server-55-5.5.37-25.10.756.el6.x86_64.rpm : not found! Checking Percona-XtraDB-Cluster-shared-55-5.5.37-25.10.756.el6.x86_64.rpm : not found! Checking Percona-XtraDB-Cluster-test-55-5.5.37-25.10.756.el6.x86_64.rpm : not found! Checking Percona-XtraDB-Cluster-galera-2-2.10-1.188.rhel6.x86_64.rpm : not found! Checking percona-xtrabackup-2.1.9-744.rhel6.x86_64.rpm : not found! Checking Percona-Server-shared-compat-5.5.35-rel33.0.611.rhel6.x86_64.rpm : not found! Checking epel-release-6-8.noarch.rpm : not found! * Package name/URL might be different after new releases by respective vendors. We need to install socat prior to execution of Severalnines deployment package. This is because the socat package is not available in the local YUM repository and this would fail the deployment process. Socat is a direct dependency of Percona XtraDB Cluster and it is the default when performing SST using xtrabackup. Now we are ready to start the offline deployment. You have now installed one of the most advanced db infrastructures available. This is your ClusterControl API token, ab198c842b6e15bb670e228ea1fbba9629509fc5, keep it for safekeeping if you need to (re)register your cluster again. Backup > Online Storage - requires connection to AWS. Service Providers > AWS Instances - requires connection to AWS. Service Providers > AWS VPC - requires connection to AWS. Manage > Load Balancer - requires connection to EPEL repository. Manage > Upgrades - requires connection to Percona repository. 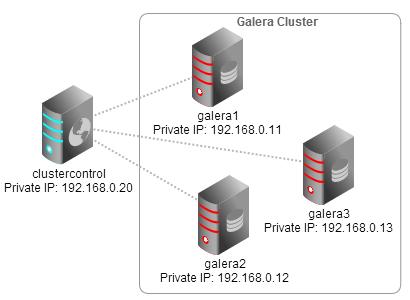 You just deployed a Galera Cluster on servers without internet connection, complete with management and monitoring. Happy clustering!